Online certificates for Fall Arrest Protection training can still be accepted by employers during this 2 year period, however, there is a possibility that additional (hands-on)l training could be required. 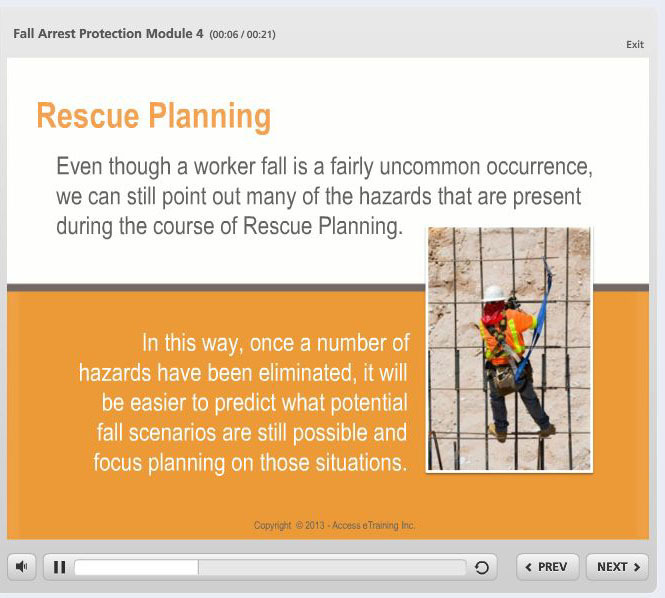 Fall Arrest Protection - This Online Fall Arrest Protection Course will guide you through all aspects of Fall Arrest, from the different types of Fall Protection, to what personal protective equipment to use and how to calculate Fall Clearances. Our comprehensive course will explain in detail what you need to know, emphasize key points and test your knowledge retention after each module. This course is required by many industries and you should check with your employer to see whether or not you need Fall Arrest Protection Training. By doing both theory and practical on-site training then shows the employer is doing their “Due Diligence” and they will comply with Occupational Health and Safety Regulations. 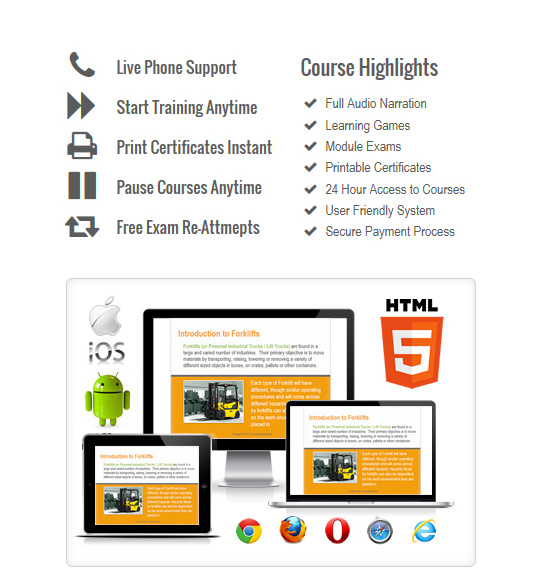 After completion of this course you will be issued a certificate of completion.ion. Who Needs Fall Arrest Protection Training? Refund Policy: If you are not completely satisfied with our product for any reason, contact us within 14 days of purchase and we will happily refund you the full purchase amount via the same payment method used to make the initial purchase.